SAN FRANCISCO, Calif. /California Newswire/ — Wholesale Trading Co-op Insurance Services (WTCI), a privately-held wholesale insurance specialist serving a group of leading retail insurance brokers, announced today that The Carlyle Group (NASDAQ:CG) has agreed to acquire a majority stake in wholesale insurance broker JenCap Holdings, LLC and the assets of Wholesale Trading Co-Op Insurance Services, which will be re-named Wholesale Trading Insurance Services, LLC. Wholesale Trading is currently owned by its management team and external private investors. Carlyle's investment will position JenCap Holdings to be a consolidator of specialty insurance distribution and program management businesses, including managing general agencies, specialty program underwriters, transactional wholesale brokers and captive managers. JenCap Holdings has assembled a management team with the sector insight and experience to drive organic growth and strategic acquisition strategies leveraging technology and advanced data analytics. Mr. Jennings commented, "Over the last five years we have built a highly successful business from scratch through hard work and client service excellence. However, it is clear to us that the next five years will require significant investments in technology, data analytics, human capital and acquisitions to expand product offerings and distribution networks. Having the Carlyle Group as our financial partner gives us the ability to make those investments, attract the best talent both inside and outside the industry, and immediately sets us apart from our competitors. This news should be viewed very positively by our retail broker partners and the clients they serve." Said Kristopher Bauer, "It is important for those we serve to realize that nothing is changing beyond our name and the benefits that we will all derive from our partnership with the Carlyle Group. We will continue 'business as usual' with our same team of highly experienced wholesale brokerage professionals delivering focused, innovative products and services to our retail broker partners." "We are very pleased that John Jennings and the exceptionally talented professionals at Wholesale Trading will be joining JenCap Holdings," commented John Redett, Managing Director of The Carlyle Group. "John and the entire WTCI team have done a tremendous job building the organization from a start-up, creating a high-growth, client-focused organization in only five years. 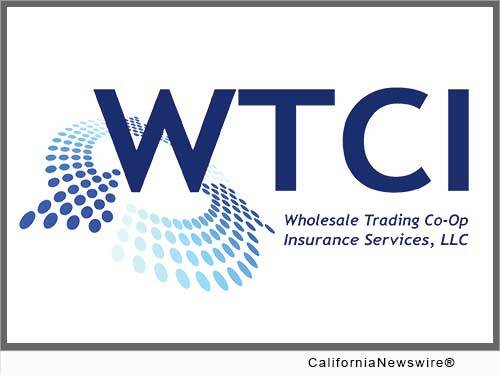 We look forward to making the necessary investments for the WTCI team and JenCap Holdings to quickly become an even more significant player in the specialty insurance distribution and service business." The Carlyle Group (NASDAQ: CG) is a global alternative asset manager with $183 billion of assets under management across 126 funds and 160 fund of funds vehicles as of December 31, 2015. Carlyle's purpose is to invest wisely and create value on behalf of its investors, many of whom are public pensions. Carlyle invests across four segments – Corporate Private Equity, Real Assets, Global Market Strategies and Investment Solutions – in Africa, Asia, Australia, Europe, the Middle East, North America and South America. Carlyle has expertise in various industries, including: aerospace, defense & government services, consumer & retail, energy, financial services, healthcare, industrial, real estate, technology & business services, telecommunications & media and transportation. The Carlyle Group employs more than 1,700 people in 36 offices across six continents.